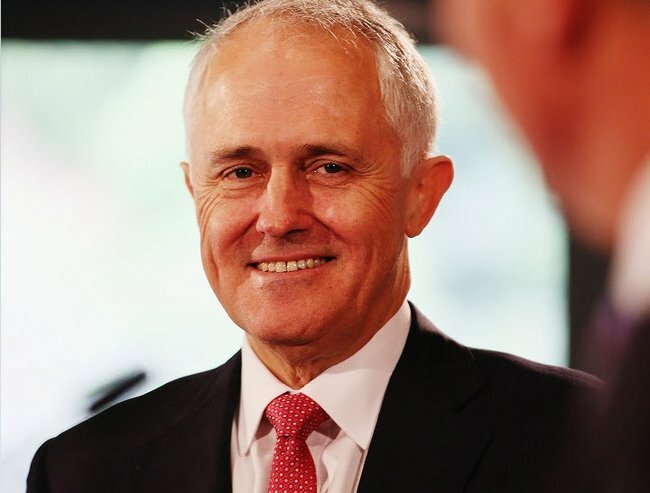 Malcolm Turnbull: "Domestic violence takes many forms." 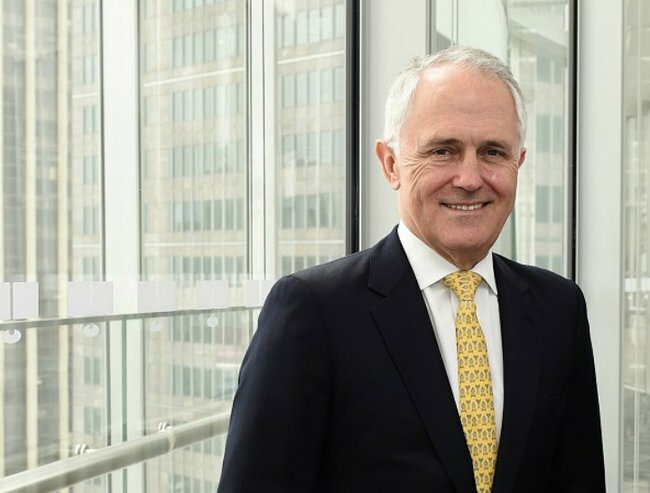 Malcolm Turnbull writes for Mamamia about his experience at Bondi Beach Cottage, a domestic violence help centre for women and children. I visited Bondi Beach Cottage earlier this month to learn more about the role that domestic violence case workers play in helping women who are in abusive relationships. I have said before how commendable their work is and I was reminded again how challenging it can be. We should all be grateful that there are people in our community who choose to work in this field and help women during such difficult times. Bondi Beach Cottage provides specialised case management, counselling and art therapy for women and children experiencing domestic violence in Wentworth. Often the women who come to them are not yet able to identify that they are suffering domestic violence. If they have not been hit, if they don’t have bruises, they wonder how to label what they are enduring. 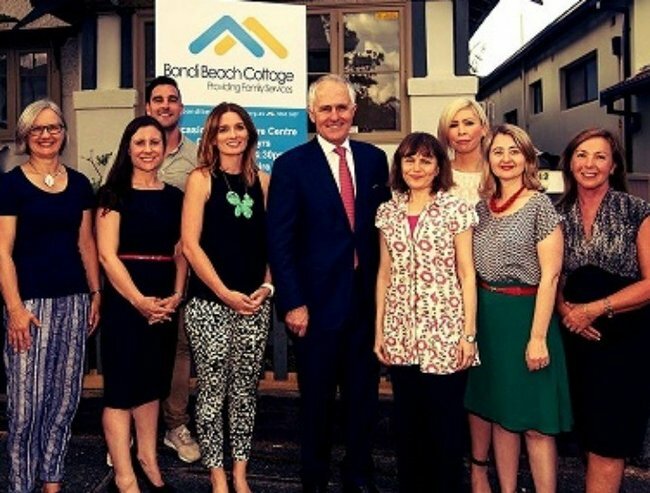 Prime Minister Turnbull visiting Bondi Beach Cottage. We know now that domestic violence takes many forms and includes psychological and emotional abuse, controlling behaviour including through financial power. One is not worse than the other – all are signs of disrespect for women. Some women attending the Bondi Beach Cottage inevitably ask, why me? Is it my fault? BBC case managers can help women understand that they are not to blame for the abuse they suffer, but that there are real things they can do to change their situation. They educate women about what healthy relationships look like and what their rights are, giving them invaluable tools to protect themselves from future harm. One of the more confronting messages for me was that women who have experienced domestic violence experience symptoms similar to Post Traumatic Stress Disorder. Many have been exposed to life-threatening situations and as a result suffer serious and debilitating anxiety and depression. Domestic violence follows its victims in the long term and affects every aspect of their lives. It impairs their functioning and relationships with other partners, their parenting, their ability to trust and their self-esteem, confidence and communication skills. At BBC caseworkers and therapists work on managing these long lasting symptoms, improving self-esteem and the ability to set boundaries and increasing safety – all of which reduce the risk of it happening again. The workers also described the challenges this work presents them personally. It is physically and emotionally draining and sometimes they finish the day feeling like they have been through a washing machine. They all agreed that it was vital to look after themselves if they were to maintain the passion for helping their clients. But as one worker put it, no matter how hard her day, it is nothing compared to what her clients have faced. It has reinforced for me why it is so important that the Government’s response to domestic violence improves frontline support and services. Our domestic violence package will fund an expansion of 1800RESPECT, the national telephone and online counselling and information service, to ensure more women can get support. This week, 1800RESPECT released a Frontline Workers Toolkit, a valuable resource that will help anyone who works with women to recognise the signs of sexual assault, domestic or family violence and equip them with the skills to respond well. I hope it helps all frontline workers do their very worthwhile work that little bit better.